Glorious mountains, icy glaciers, wildlife and the majestic Pacific Ocean. Alaska will surely take your breath away. Alaskan cruises offer you unlimited possibilities. Explore snowy mountain ranges, magnificent arctic glaciers, deep coniferous forests and crystal clear lakes on a cruise tour package. Witness incredible flora, beautiful and unique fauna and vibrant cultures in blissfully remote natural environments. Discover the incredible Kodiak Island, home to the largest bears in the world. Alaska’s vast size allows for a complex diversity of landscapes, each with its own unique character. Aside from a wild natural beauty, Alaska is renowned for its adorable historic townships, like the state’s capital Juneau, the gold rush town of Skagway, and Wrangell - the first non-indigenous settlement in the state of Alaska. Alaska cruises are possible from various different ports, including from the Canadian metropolis of Vancouver, which too is a popular sightseeing destination. Explore the beautiful American state of Alaska in all its beauty and bask in the magnificence of nature. The thousands of miles of scenic coastline make it a natural draw for cruise ships, cruising Alaska is the best way to experience it from a different perspective! 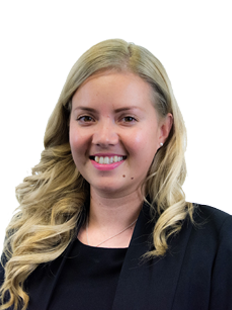 Make sure to book in the summer months when the days are longer, and the weather is more predictable. The most famous cruise lines to visit Alaska with are Holland America & Princess - you will get the picture perfect experience, and the amenities. However if you want more of an expedition feel then book with Un-Cruise Adventures where the focus is more on wildlife, nature and unique shore excursions. Sail this 12 night cruise through the Inside Passage from Vancouver to Los Angeles. Get out and explore every day - Ketchikan, Juneau, Sitka & much more of the Pacific coast best. Brush up on your knowledge of the local whale species so you can recognise them all when they breach the surface. Take this week long cruise and journey northbound through the Inside Passage from Vancouver to Seward visiting Ketchikan, Icy Strait Point, Juneau, Skagway and the majestic Hubbard Glacier. Average temperatures tend to be cooler so make sure to check the forecast and pack accordingly so you can enjoy the stunning sites comfortably. Cruise from San Francisco to Alaska and enjoy the beautiful Pacific coastal views and see the top destinations in Alaska such as Ketchikan, Juneau and Tracy Arm Fjord. Be sure to bring a good camera, and book a shore excursion to capture some unique memories. Vancouver is located on the west coast of Canada, between the sea and mountains, which provide a beautiful backdrop. A cosmopolitan city which is nestled in the great outdoors, Vancouver is the ideal place to discover the best of Canada, where you can enjoy skiing on the internationally renowned mountains Whistlers and Blackcomb and also experience a huge array of fine bars, restaurants and nightclubs. Stanley Park is a highlight of Vancouver, featuring beautiful beaches, paved and dirt trails and Canada's largest aquarium. Juneau is the capital city of the State of Alaska and is full of natural and cultural attractions. Surrounded by the stunning Alaskan landscape, there is a huge amount of activities available to embrace nature, such as flightseeing, kayaking, whale watching and fishing. There is also a wealth of cultural experiences to be discovered with museums, historical sites, art galleries and more. 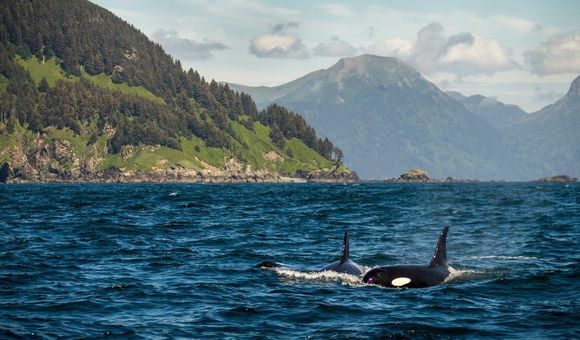 Juneau is sure to impress all visitors, whether you would like to visit glaciers and fjords or see the whales and dolphins local to the region. Ketchikan is an American city in Alaska, which is known mainly for its tourism and fishing. The city provides a perfect platform to explore the Misty Fjords National Monument, which is characterised by its steep valleys formed by volcanic activity providing spectacular views. There is a strong cultural history in Ketchikan with evidence of Native Alaskans seen in the totem poles and the Totem Heritage Center. Known as the 'Salmon capital of the world', Ketchikan will serve up fine salmon, crab, oysters and more in a variety of restaurants. Victoria, the provincial capital of British Columbia on the southern tip of Vancouver Island, impresses with European flair, narrow streets and Victorian architecture. Many of the buildings built before 1945 are listed buildings and the red double-decker buses for city tours are reminders of the British Empire. 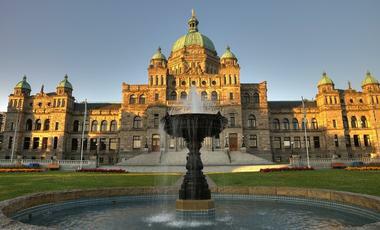 Not to be missed are the Parliament Building, the Fairmont Empress and the Royal British Columbia Museum. The tearooms, antique shops and galleries are all sure to impress and the abundance of cycling routes make the city easy to navigate. 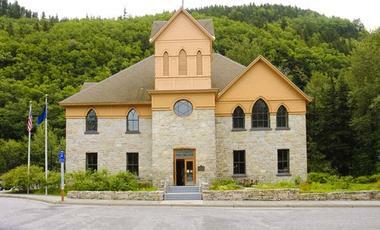 The former gold rush town of Skagway, is located on Taiya Inlet, a bay of the Lynn Canal. The city is also known as a living museum of the gold rush era, as many relics can still recall the time of the gold rush. The ideal way to discover Skagway is a sightseeing tour, whether through the town itself discovering the historic buildings or taking to the skies in a helicopter to discover Skagway's natural beauty from above. From the magnificent fjords to the fascinating wildlife, Skagway has sights in all places that will be sure not to disappoint. Sitka is a city which is located on Baranof Islands of the Pacific Ocena in the U.S state of Alaska. It is only accessible by plane or boat and this can sometimes be affected in the winter due to weather. Sikta is the largest area in the United States. Sitka is known as the most beautiful coastal town in Alaska with a forest walk to the water, unprecedented fauna and culture. The people that live in Sitka are extremely welcoming and friendly making you feel at home from the moment you step foot in Sitka. The Inside Passage is a sea off the coast of Alaska and British Columbia with a coastline of 24,000 km and about 1,000 islands. Boasting wildlife-filled fjords and lush island scenery, the Inside Passage is one of the world's most beautiful waterways and is also an extremely popular cruising location. You will be sure to find whatever you are looking for with a range of water taxis, ferries and island-hopping planes available to bring you to your ideal location. The Hubbard Glacier is a glacier in the Elias chain in the state of Alaska and the Yukon Territory. It stretches over 122 km in the Yakutat Bay, making it the longest water-ending glacier in Alaska. Hubbard Glacier is an active glacier which continues to grow and consists of two major peeks. Icy Strait Point is Alaska's newest cruise port. It is one of the only private tourist destinations in Alaska. The Native Heritage Center is worth a visit: here you can look at the art of the Tlingit Indians. Various exhibitions and live performances help to gain knowledge about the history and culture of the Tlingit. The city is located on the Seward Resurrection Bay in the State of Alaska. 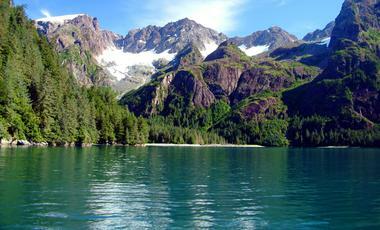 Seward is a secenic city surrounded by natural beauty. Seward marks the beginning of the historic Iditarod Trail, as well as the historical route of the Alaska Railroad. The city has about 3,000 inhabitants and is frequented by summer tourists. Seward is dived into two parts the historic center and the tourist port. Sewards coastal area in inhabited by beautiful whales, sea lions and birds. Kodiak is a port town located in the US state of Alaska and is the main city of the Kodiak Island. The town is pretty developed but laid-back and friendly at the same time. Kodiak's charm lays in the onion domes that remind of Alaska's Russian heritage and in its modern port, that is one of the state's biggest. The town is famous for its salmon industry and the Kodiak Bear that is protected by strict game laws. Kodiak offers visitors plenty of entertainment, from a wildlife refuge centre to an archaeological museum. Glacier Bay is a bay in the south of Alaska, whose eponymous national park is home to a total of 17 glaciers. The fjords of Glacier Bay are strongly affected by the level of the tide and influenced by the seasons. This beautiful bay is part of the UNESCO world heritage list, and is a destination which is definitely worth a visit. Along with mountains covered in ice there are many rainforests which inhabit animals and beautiful plants. The Tracy Arm Fjord is situated about 70 km south of Juneau. It is about 50 km long and about 20% is covered in ice. Steep rock walls, spectacular waterfalls and glaciers characterize the fjord. At the end of the narrow fjord are the two branches of the impressive Sawyer Glacier. The Tracy Arm surrounding area was appointed a Wilderness Area in 1980, the highest class of natural protected areas of the United States. The Wrangell City is one of the first places in Alaska which was not founded by Tlingit Indians, who are the aborigines of this region. It has a population of 2,369 residents. Although Wrangell wasn't founded by Tlingit Indians there culture is influenced by this tribe. Wrangell is a destination of natural beauty visitors can explore beauitful mountains, forests, glaciers and more. Wrangell inhabits many animals with the acres of forestry land and coastal area there are brown bear , whales and more. Dutch Harbor is located on the island of Unalaska one of the Aleutian Island. The city is the most major fishing ports in the USA and a great destination for lovers of sea food. Why not enjoy some of the freshest fish you’ll ever find in casual inviting surroundings? Worth seeing is the Russian Orthodox Cathedral of the Holy Ascension of Christ, built in 1896. Also, the Aleutian WWII Visitor Center, the Office of the Ounalashka Corporation and the Museum of the Aleutians are a must for any history buffs. Here, cruise guests get a glimpse into the often unknown but important significance of Dutch Harbor during the second world war. . Which cruise lines go to Alaska? There are a range of cruise lines that sail to Alaska. Below is a range of large and small cruise lines. Along with a range of small cruise lines that can go into bays that other larger cruise ships can't enter. How much does a cruise to Alaska cost? For the most popular duration of 7-10 days in Alaska price on average are between $1,500 and $2,000. Prices vary according to the time of year and cruise lines, but that is a good starting figure. Prices are per person based on two sharing. Where to go in Alaska? Alaska cruises guarantee panoramic vistas of breath-taking beauty comprising of lofty snow-capped mountains and immense glittering glaciers. The main ports in this unspoilt region include; Juneau (the capital city of Alaska), Ketchikan, Hubbard, Gletscher, Glacier Bay and Skagway. When anchored in these ports you should take advantage of a shore excursion to explore stunning landscapes, delightful cities, and an untouched wilderness like no other, the memory of which will forever remain with you. If you enjoy adventure activities on the water, then try sea kayaking and Orca tours. If you want adventure activities on land, then how about going on a wild bear tour? You will come face-to-face with a wild bear (from a safe distance!) and see the awe inspiring site of these animals in their own natural habitat. Enjoy flying? Then an Alaskan flight over the mountains will take your breath away. In a small light aircraft you will be taken over some of the Alaskan mountain ranges to see the beauty of the wilderness in Alaska. Are you looking at starting or finishing a cruise in Anchorage? If so, if you have some time to spare then the Denali National Park is a must! Denali is the highest peak in North America and the National Park is home to some of Alaskas best sights. Packed with wolves, elks, bears and many other animals if you enjoy seeing animals in their natural habitat then this is the place to go. Dream of seeing a glacier? Then Alaska is the place to do it. With the likes of the twin Sawyer glaciers accessible from the Tracy Arm fjord near Juneau or the Kenai Fjords National Park near Seward. Both can be taken as a tour option on a small tour boat or hike with a guide. If you’re looking to relax then enjoy one of the many café and restaurants on the quite city streets. Of course the wild Alaska seafood is at the top of the menu for anyone visiting Alaska. World renowned for its salmon, halibut and the delicious king crab. Your Alaska cruise will feed your appetite. If you finish in Anchorage but you need to travel south then consider the Alaska Highway as one of the best options. Running all the way from Fairbanks in Alaska to Dawsons Creek in British Columbia (Canada) driving yourself or taking a tour bus will take you through some of the best scenery in Alaska. Cruises to Alaska normally begin from stunning cities such as Vancouver, Los Angeles, Seattle or San Francisco and with CruiseAway you sometimes have the option to combine your cruise with flights and hotel stays so all you have to think about is enjoying the experience. For all our cruise options including luxury, cheap and last minute are available from our homepage. All our best deals in Alaska and elsewhere in the World are waiting for you! Call our cruise experts today for more details. Call freephone 1300 887 590.